We now support online giving! IF YOU WISH TO GIVE YOUR TITHE OR OFFERING ONLINE, YOU CAN NOW DO SO. THERE ARE A FEW EASY OPTIONS TO DO IT. Click the 'Give Online' button below and you will be taken to our site where you can contribute your gift. From your smartphone, you can text the word templebc to 73256. You will receive a return message with a link that will take you to a secure site where you can complete your gift. 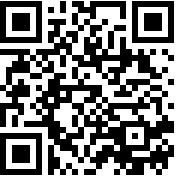 From your smartphone, you can scan this QR code for quick access to the giving page. You can simply choose one of these four online giving methods. They are fast, easy, convenient, and secure.